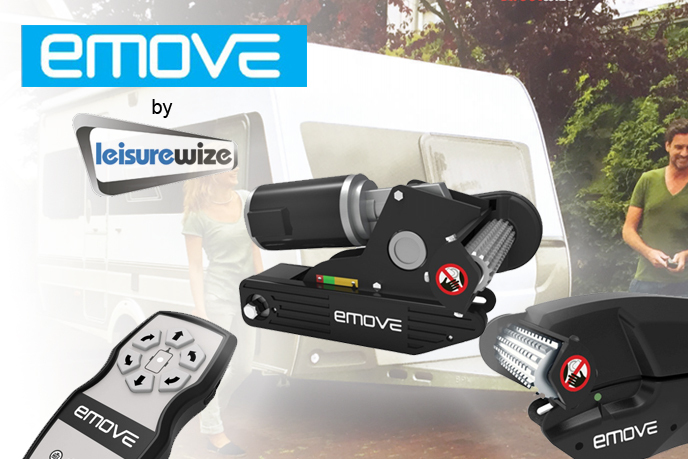 E-move started with the development of a caravan manoeuvring system at the end of 2005, which was introduced to the market in 2007. Manoeuvring systems were only available to a select group of caravan-owners at that time. Partly because of E-move technology, the market has been broken open and a manoeuvring system has rapidly become one of the most respected brands amongst caravan owners! All E-move products are developed by Leisurewize in collaboration with our partners therefore they can offer good quality combined with a competitive price. It is extremely important that the ratio of price-quality is very excellent. Partly due to the success and continuously growing market share they have opened a brand new factory which provides enough space to grow and develop new products in April 2012. The factory is equipped with the most modern production facilities. All E-move manoeuvring systems include precise gear drives so no power is lost between the motor and the aluminium drive roller. Through this modern technique they make full use of the motor power. Lightweight aluminium drive rollers provide optimum grip on the tires of the caravan. Water, mud and dirt can be easily removed through he grooves. Under all circumstances and without any loss, the power of the motors will be transferred on to the tires. Optimal control of you caravan during manoeuvring through advanced soft start/stop technology. With precise manoeuvring. Additionally, you can smoothly adjust the direction of the caravan without stopping.